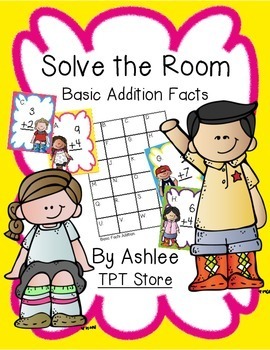 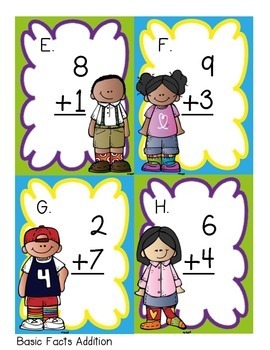 This product provides 1 game with 24 basic addition facts problem cards. 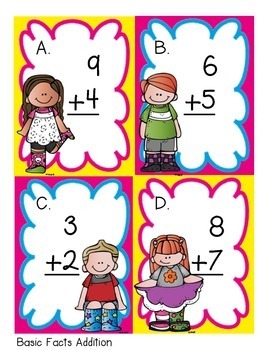 Post the cards in your classroom and have students "solve the room," recording solutions on the answer sheet. 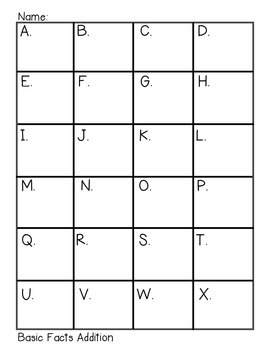 * could also be used as "flash cards"